An Ohio measles outbreak tied to unvaccinated Amish travelers who visited the Philippines has reached 66 cases — the most in a single state in the U.S. since 1996, health officials said Monday. It’s part of a larger surge of measles nationwide that has topped last year’s 186 cases and is closing in fast on the 220 cases reported in 2011, the most since the highly contagious disease was considered eradicated in the U.S. in 2000, according to the Centers for Disease Control and Prevention. The latest official CDC figures logged 161 cases as of May 3, but there have been dozens more reported since then, officials said. Travelers bringing home the virus that can linger in the air for hours have spread the disease to growing pockets of unvaccinated children and adults back home. California has posted 59 cases; New York has logged 26 this year. In Ohio, all of the cases have been confined to the Amish community, but health officials there have said they fear that it could expand to the wider population. “There’s a good chance that someone who doesn’t know they have been exposed will pass the virus on to the non-Amish population — who we commonly refer to as the English,” Knox County Health Commissioner Julie Miller told reporters recently. The outbreak has been traced to unvaccinated Amish aid workers who traveled to the Philippines on a volunteer mission to help with typhoon recovery — and returned to spread measles to family members, who in turn gave it to others. The Philippines is in the midst of a measles outbreak that has sickened more than 26,000 and killed more than 40, according to the World Health Organization. Amish communities typically have low vaccination rates, but at least 800 people have been vaccinated in Knox County and another 2,000 have gotten shots in nearby Holmes County, which both have large Amish populations, said Pam Palm, a health department spokeswoman. The Ohio cases are the most in a single state since 107 measles cases were confirmed in Utah in 1996. That year, the outbreak accounted for 25 percent of all measles cases reported, according to the CDC. Measles was considered wiped out in the U.S. after a concerted public health campaign, mostly in low-income families. The CDC’s Vaccines for Children Program, which pays for vaccines for poorer families, was started in response to a resurgence in measles that sickened 55,000 people between 1989 and 1991. At its peak in the U.S., measles killed 500 people a year in the U.S. and hospitalized about 48,000. 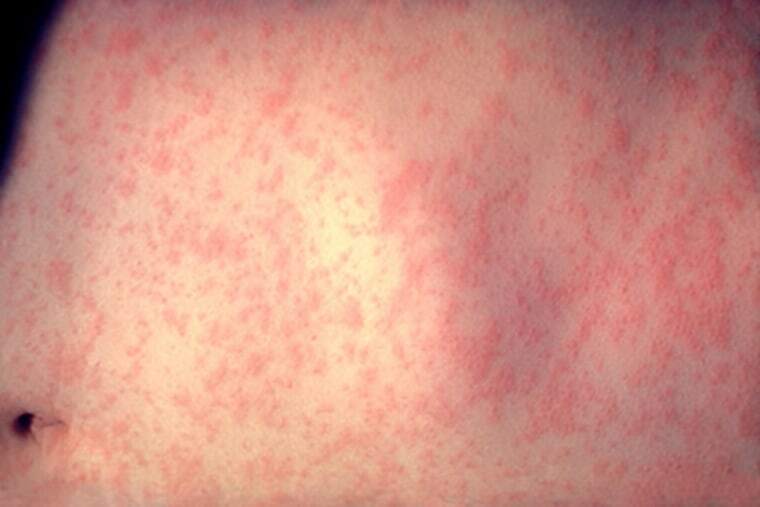 The CDC recommends two doses of measles vaccine for children older than 1 and for adults and teens who have not had the disease or been inoculated.